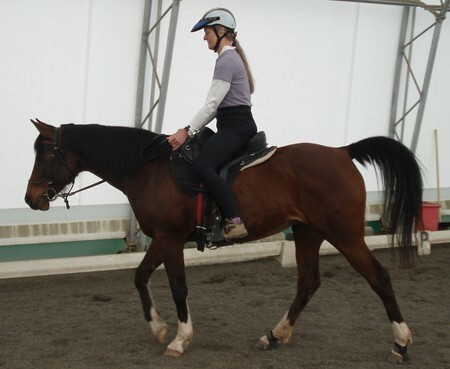 “Why would a Dressage horse need shoes?” I asked Sonja, the excellent Dressage rider who has also done a 50 miler. Her arena is a thing of beauty with wonderful pea gravel footing. 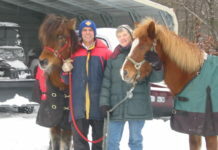 Her answer was interesting to me, she said that the back feet of her Dressage horses would wear down pretty fast. 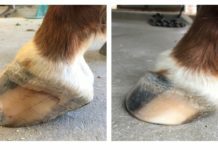 There are plenty of opinions on barefoot horses and their occupations, but I decided to use Easyboot Gloves on Kalena’s hinds while taking our “Dressage for the Endurance rider” lessons. 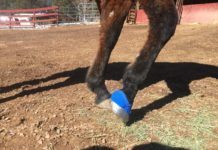 Since then I have put Easyboot Gloves on all four hooves for lessons and trail conditioning too. Kalena is happier and more comfortable working in Gloves. She has been barefoot for over three years but she moves better when she has foot protection. And yes, I know my heel is a little high. Next articleMaster Gluing Tips and Tricks In Just 2 Days!